A CrossFit gym is not built to be broken. It isn’t designed to service the needs of those who don’t value how much it costs to build a facility like ours. An attitude of “it’s a gym, things get broken” isn’t welcome here. Respect the equipment, respect the surroundings. Without these, the gym is nothing but an open space. These are the tools that carve out your new life, new body, new-found sense of wellbeing. These are the tools that allow you to fuel your passion. Treat them as such. If you can’t respect the tools used to sculpt your new self, how can you respect the body & mind they have forged? A CrossFit Coach has a duty to protect you and your fellow athletes. They are relentless in their pursuit of safety and mechanical efficiency instead of careless intensity. Heed their advice – they are not there to pull you down, simply here to keep you safe and moving forwards at a rate appropriate to you. They are experts in their field, the advice they give you shouldn’t be taken lightly. 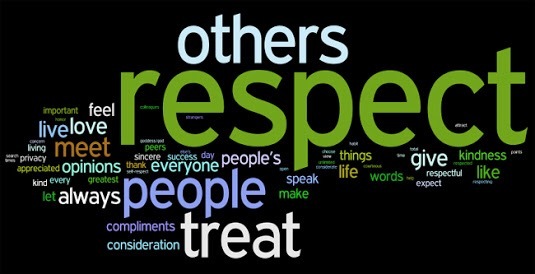 Respect their time, respect their standards and respect the structure they use to conduct a safe and effective class. A CrossFit gym is built on community, not individuals. Everyone is held to the same high standards and expectations and repeated failure to meet these cannot be tolerated. Nobody is more important than anyone else in a CrossFit gym. You must respect the time of other members. You must respect the equal access other members have to the coaching and equipment that you receive. You must respect the journey that every other member has to take to reach their summit. Be timely, encouraging and polite at all times. CrossFit is a long game. Success doesn’t happen overnight. Success and improvements can come gradually or in intermittent blocks, but all CrossFit journeys take time. Understand what stage of the journey you are at and accept that. If you can do that, the remainder of the journey will be much more fun!